We know energetic toddlers need to stay busy and love taking on new challenges, which is why our Toddler Room has a range of activities they can enjoy throughout the day. 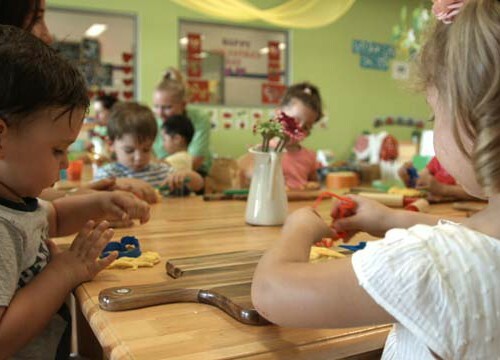 We’ve carefully designed our program to stimulate and challenge toddlers, so they become more independent and develop important skills they’ll need later in life. 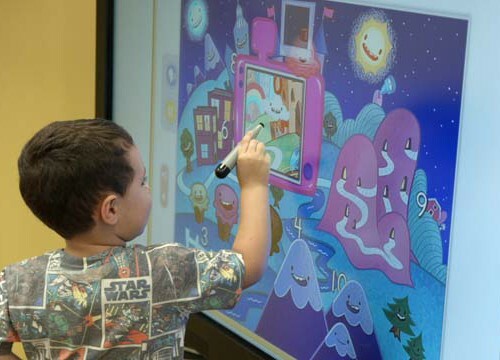 Roleplaying and creative arts give children the opportunity for creative freedom and expression, while early literacy and numeracy experiences begin teaching new concepts to their growing minds. Having the opportunity to develop friendships and socialise with others is a big focus in this room. We help toddlers stay active, with lots of physical activity in our sports Fit program that challenges their motor skills and helps them form strong social relationships with other children. Routine is an important part of helping children feel secure and gives them the confidence to try new things. Our educators maintain a regular routine in the Toddler Room, with a focus on encouraging self-help skills such as toilet training and self-feeding. We provide fresh, nutritious home-cooked meals that cater to allergies and other dietary requirements. We provide all nappies and our nappy change rooms and bathrooms are located directly off the Toddler Room, to help with toilet training. We provide large playgrounds and natural spaces for young, curious minds to investigate, explore and learn. Outdoor equipment also helps children develop gross motor skills and supports their physical development. Toddlers can enjoy a range of activities each week, including soccer, Tee-Ball, basketball, athletics, dance classes and yoga, as part of our Fit program. 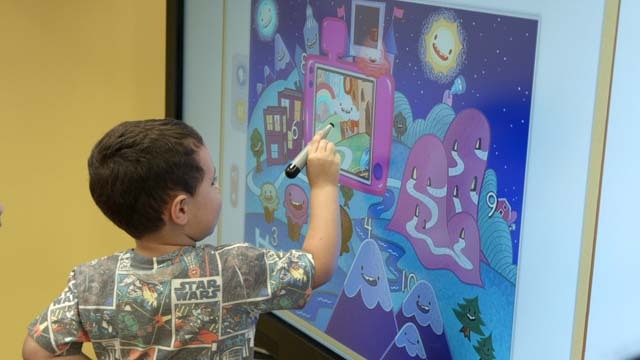 Our Smart Start program gives toddlers a chance to learn in small groups, using our Promethean LED ActivPanel® and other modern technology. 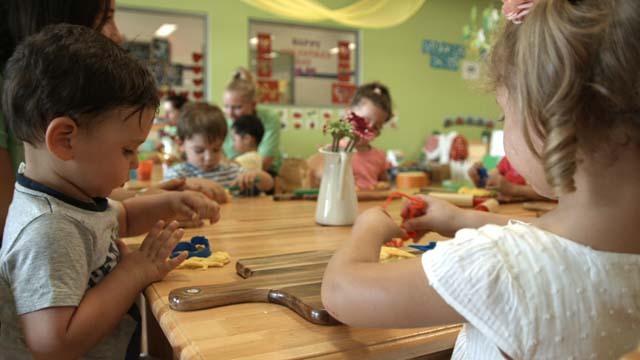 It’s designed to stimulate their imagination and develop language, motor, literacy and numeracy and social skills. We read books 2-3 times a day, which studies have shown to have a positive effect on schooling outcomes and significantly improve language, literacy, numeracy and cognition skills later in life. We offer mini bakers cooking lessons, green thumb gardening lessons, music time, arts and craft, drama and environmental sustainability lessons as part of our Inspired program. Our educators teach children to respect other cultures and develop a strong connection to families and the community, as part of our Unite program.